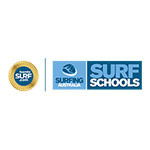 The Sunshine Coast is a beautiful environment to learn to surf all year round! Our main concern is too much unprotected exposure to the sun. 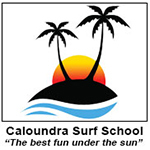 We have the exclusive Council permits to provide surf lessons at the 3 best beaches around Caloundra, at Happy Valley (Happys), Dicky Beach and Currimundi. This means that we can take our classes to the best location depending upon the conditions (e.g. tides and wind direction). 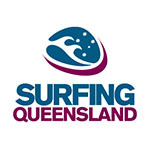 Surfing Queensland are an entrusted association, committed to the development of surfing as a sport, and educating the public on surf safety. Always Remember to – SLIP! SLOP! SLAP! SEEK! SLIDE! It’s best to surf in a rash vest, so please bring your own if you have one. But don’t worry if you haven’t got your own rashie, as we’ll supply a clean, fresh one for you to use during the lesson. Of course, it is vital to have good sunscreen protection before spending time in the great Aussie outdoors. 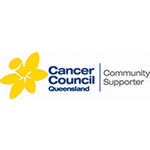 It’s better to apply your sunscreen about 30 mins before the lesson, but we will provide you with free sunscreen from the Cancer Council Queensland as part of our service. We also suggest that you bring a hat to wear while we’re doing our ocean safety talk and “how to surf” instruction on the beach before we hit the water. You are also encouraged to wear your sunglasses while we’re doing our talk and practice on the beach before we enter the water. And when you’re planning on spending a lot of time at the beach, you should try to get shade from a beach umbrella or shelter, or sit under natural shade like a tree.